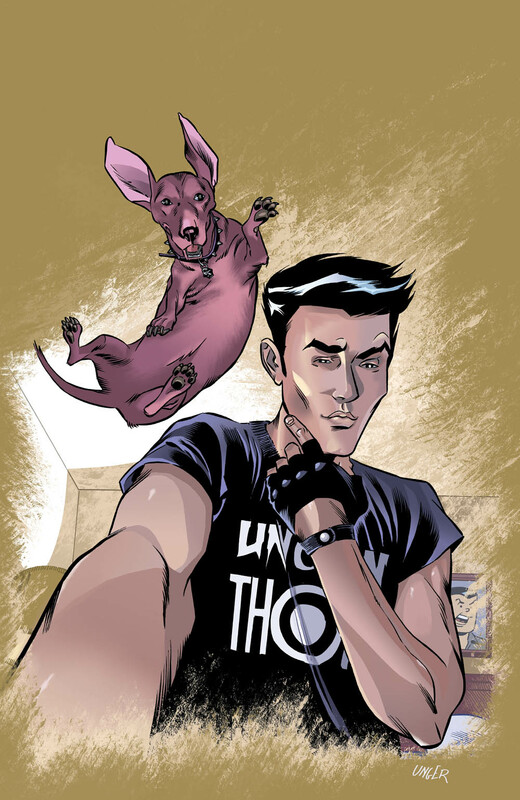 Reggie Mantle and his dog after doing nothing wrong at all. 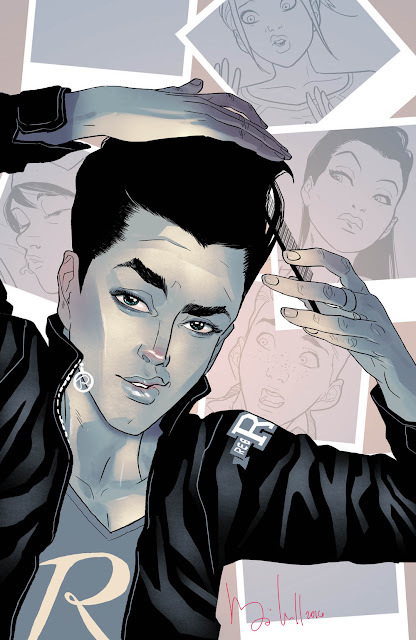 Cover by Sandy Jarrell & Kelly Fitzpatrick. 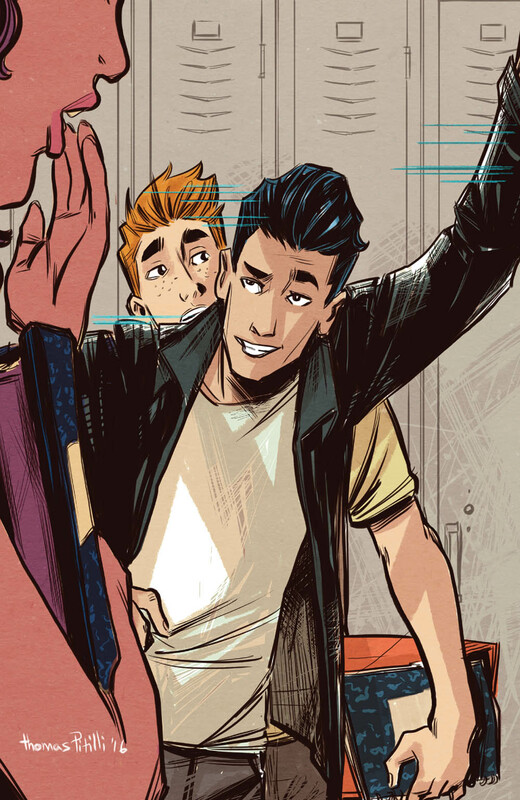 We've been trying to warn you about Reggie Mantle for the last seven months on our Twitter account but it wasn't enough. 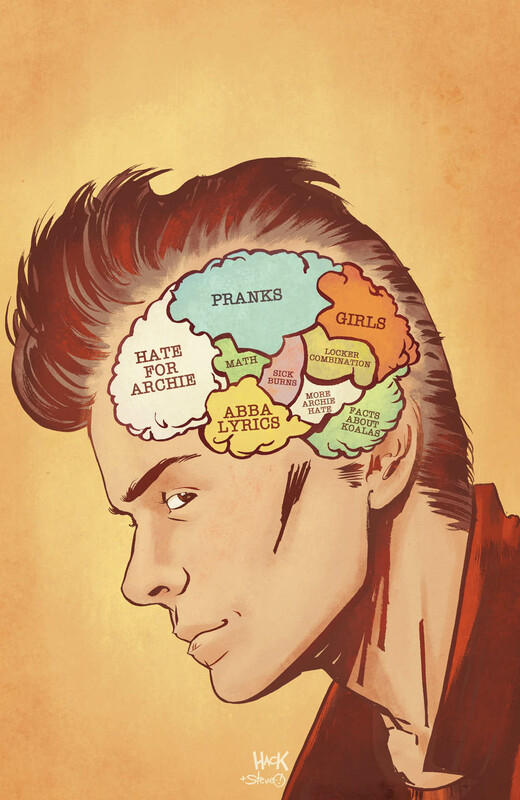 Now you'll all see exactly the type of person we've been dealing with when REGGIE AND ME #1 launches on December 7th! 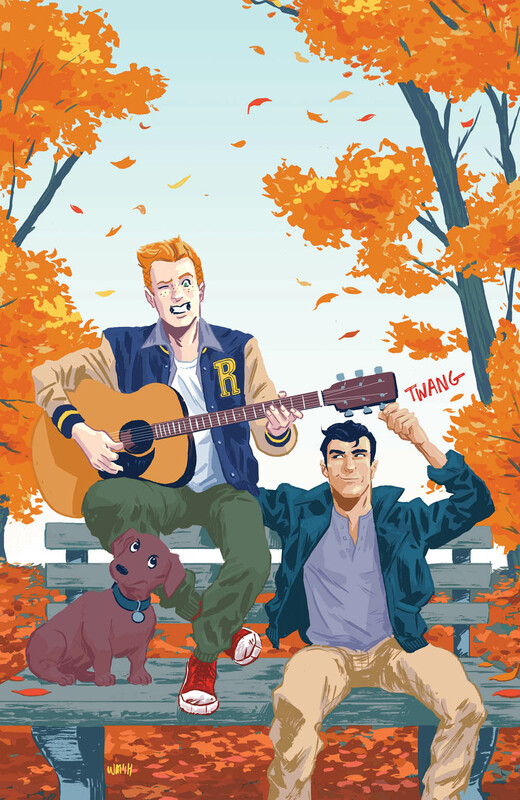 The next hit New Riverdale series, REGGIE AND ME, arrives this Winter from the side-splitting creative team of Tom DeFalco, Sandy Jarrell, Kelly Fitzpatrick, and Jack Morelli. 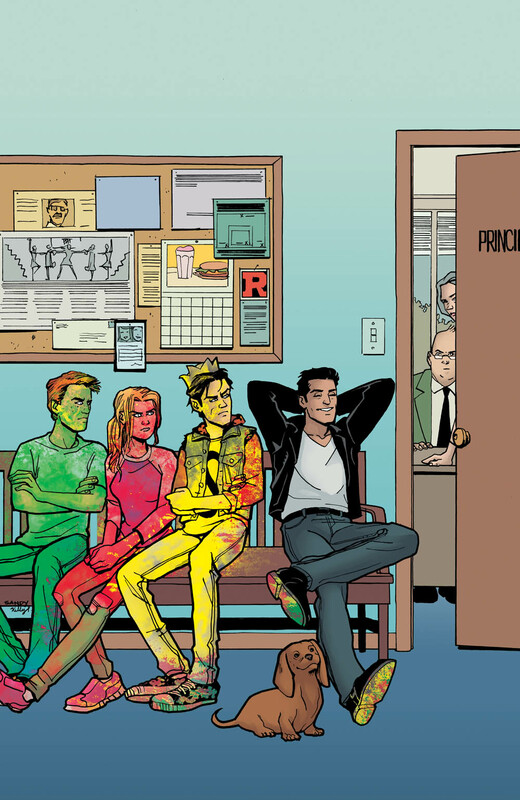 "It’s a great honor to be paired with a dynamic and fun artist like Sandy on one of my favorite characters," says series writer Tom DeFalco. 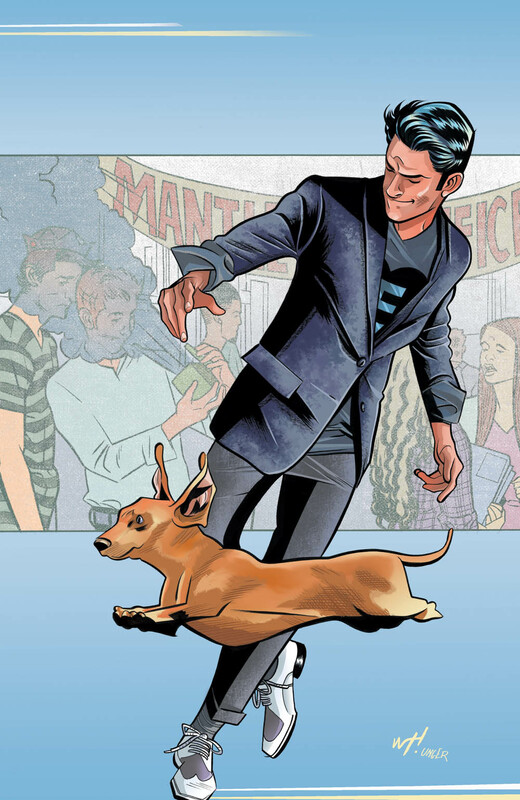 "Reggie Mantle has been called a self-aggrandizing egotist, a sinister super-villain, a merciless monster and worse, but his dog loves him. Sandy and I intend to show all the doubters and haters exactly why Reggie should be named the true master of this universe…or else!" 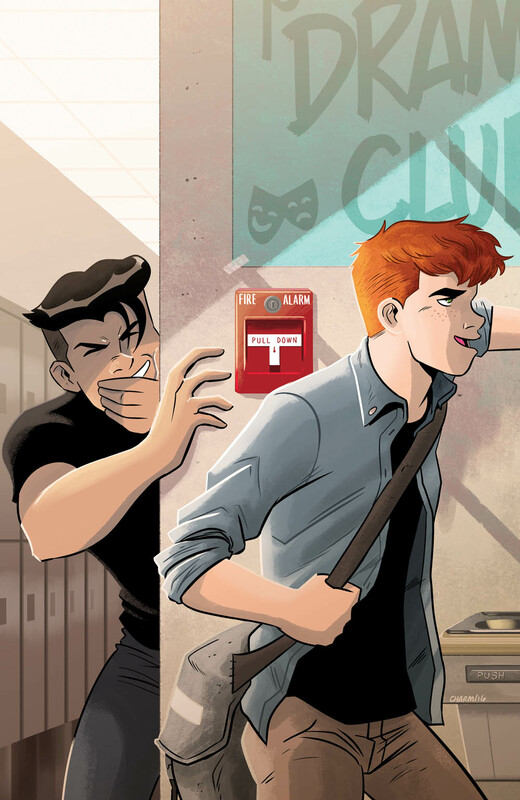 "The town of Riverdale has been part of my life as long as I can remember, and there couldn't be a more exciting time to visit," says series artist Sandy Jarrell. "Reg is more than a little salty he had to wait this long for his solo relaunch, so we've to make this count. I, for one, have no intention of getting on Mantle's list." 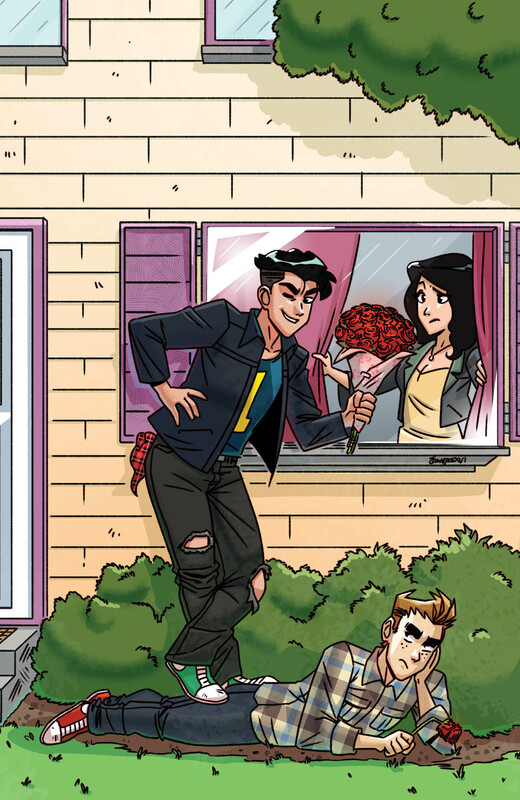 Following hot on the heels of the blockbuster ‘New Riverdale’ re-launches ARCHIE, JUGHEAD, BETTY & VERONICA, and September's new JOSIE AND THE PUSSYCATS series, REGGIE AND ME takes a look at the life of everyone's (okay, not exactly everyone's) hero, the handsome and hilarious Reggie Mantle. The new series will arrive in comic book stores this December featuring an assortment of variant covers from fan favorite artists including Derek Charm, Robert Hack, Ryan Jampole, and more.